How 'Naturya' can Immediately make your Diet Healthier! 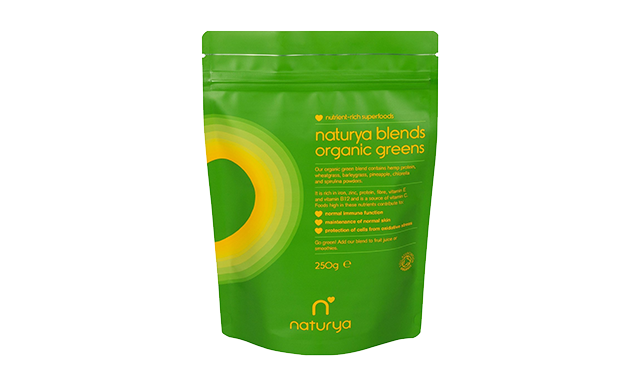 The Naturya blends are made from nutrient rich superfoods, which are concentrated into powder form. Having originally offered only single ingredients, including spirulina, wheatgrass, barleygrass, acai and chia seeds, the company have now released three amazing new combinations, specifically designed to up your nutrient intake. And though Marry Poppins may have got the substance wrong, she was bang-on with the quantity, considering just a 'spoonful' of one of Naturya’s blends is enough to squeeze a few more vital vitamins into your diet. Simply whisk it into smoothies, stir it into cereal, mash it into ice-cream, blend it into juice, or perhaps get even more inventive, and start reaping the rewards immediately! 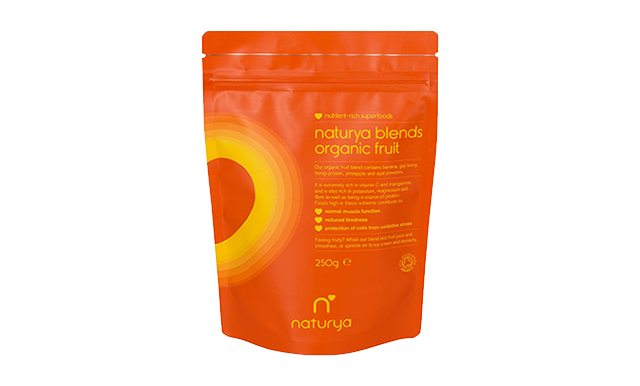 Containing banana, goji berry, hemp protein, pineapple and acai powder, Naturya’s organic fruit blend is extremely rich in vitamin C and manganese, while also providing an absolute thwack of potassium magnesium, fibre and protein. This particular blend helps with normal muscle function, aids the production of cells from oxidative stress, and even reduces tiredness. The organic greens blend helps to fortify your immune system, maintain healthy looking skin, and keep your metabolism in check, with its blend of wheatgrass, barleygrass, pineapple, chlorella and spirulina powders. It’s rich in iron, zinc, protein, fibre, vitamin E and B12, and tastes surprisingly good! Literally 'choc' full of goodness, Naturya may have finally come up with a healthy solution for all you chocoholics out there. 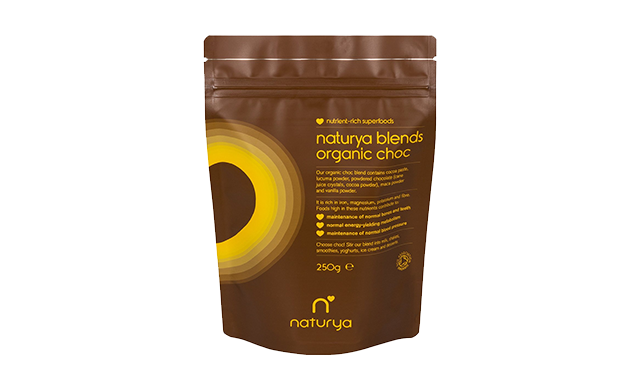 With its mix of cocoa, lucuma, maca and vanilla powder, the Naturya organic choc blend is nutritionally dense in iron, magnesium, potassium and fibre. Stir it into yoghurt and ice cream, or mix it with milk, for a blend that aids your bones, teeth, blood pressure and metabolism. The Naturya range is gluten free and 100% pure, meaning it is only made from single ingredients. The three different powders can even be mixed together to form one über nutritious monster of a mix! The brand is environmentally responsible and strives to minimise its carbon footprint, while also offering a portion of its profits as a donation to third world charitable organisations that focus on providing nourishment for those who are less fortunate than us. Let us know in the comment box below what you’d mix your Naturya blend into, and for more powder perfection, check out the Be An Athlete Pastel Range below. Julia M Thomas Forskolin activation in the sense that it will bypass the steps related to undesired side effects such as restlessness and nervousness, both of which would probably result for hormonal activation of the enzyme because the stimulatory hormones carry a number of central nervous system effects.